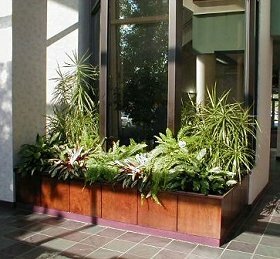 Plants Alive Inc. provides interior plants and interior plant design, maintenance and plant sales for your business office or commercial environment. A locally owned business, Plants Alive Inc. has served Lehigh Valley, Allentown, Easton, Bethlehem, and Poconos, Schuylkill County, Southeastern PA and other areas of Pennsylvania for over 30 years. Our Team of experienced horticultural techs will provide you with all your interior plants and your design decorating needs. 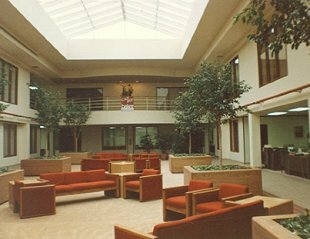 We begin with a complete design, and installation, followed up by a Guaranteed maintenance program, that will transform your present business or office environment into a healthier and more appealing "green environment" ! Does your present installation need updating? No problem! We are often called upon to take on existing installations where the client's present company failed to provide them with the quality service they indeed paid for and deserve! Our reputation in providing both quality service and competitive pricing is unsurpassed! Since 1972 we have been servicing the Lehigh Valley and Northampton, Schuylkill, Luzerne counties! From large mall complexes to your office space our trained horticultural technicians will ensure that your plants look great all year long! For a free proposal of interior plant design, plant sales, installation and/or plant maintenance, Lehigh Valley area phone: 610.437.0189 or 570.773.1034 for a personal appointment; no account is too big or too small for Plants Alive Inc!